Dermot Drummy, who managed Crawley Town last season, has died aged 56. The ex-Chelsea and Arsenal coach was appointed Crawley Town's new manager in April 2016 replacing Mark Yates. Drummy ran the Chelsea Academy and later became their international head coach. As a player he came through the Arsenal youth system and although never played for their first team, did make five appearances on loan for Blackpool. He later played Non-League football for Enfield and St Albans City and won the U21s Premier League in 2013-14 as manager of Chelsea. Drummy's son Joe announced the sad news on twitter. He said: "Ok so this is the toughest day. Unfortunately my Dad passed away this morning,I bloody loved that guy and couldn’t have been more proud of his achievements in all aspects of life. Best Dad I could have asked for." Crawley Town tweeted: "Everyone at the club is devastated by the news that our former manager Dermot Drummy passed away earlier today. Our thoughts are with his family and friends. We will be issuing a full statement tomorrow after speaking to Dermot’s family." 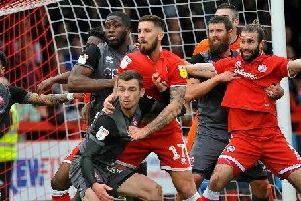 Dean Cox, who was signed for Crawley Town by Drummy, posted on instagram: "Can't thank you enough for signing me for my hometown club, a special man and a great footballing man, such sad news RIP gaffer." Crawley Observer columnist Steve Herbert posted on the CRAWLEY TOWN 4 LIFE Facebook page: "Absolutely shocked by this terrible news. Dermot Drummy 1961 - 2017 RIP 😢"